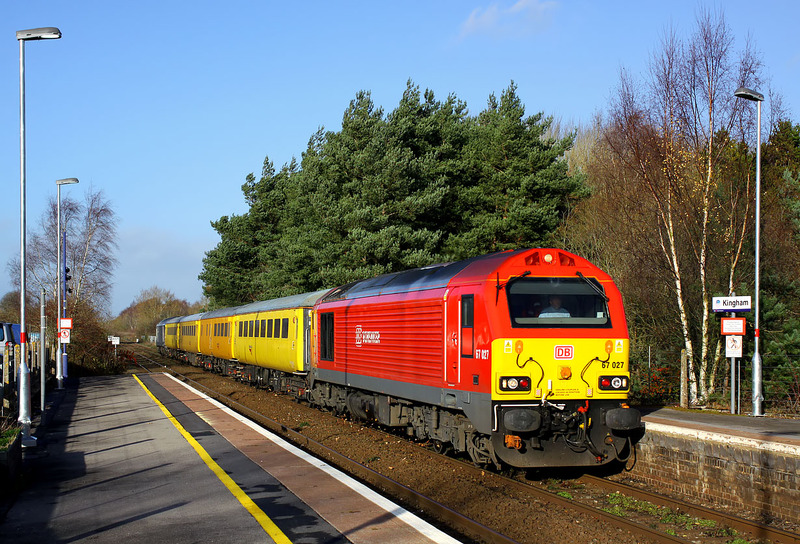 67027 kicks up the leaves as it races through Kingham station on 10 December 2014 with the 1Q15 09:05 Derby RTC to Derby RTC (via Oxford) test train. Luckily this was running nearly an hour late, which has resulted in a much better sun angle. 67015 is the rear loco.